Elected to Horwich Town Council representing Lever Park Ward March 2013. Elected to Bolton Metropolitan Borough Council representing Smithills Ward 2004-2010 and Horwich North East Ward from 2011. 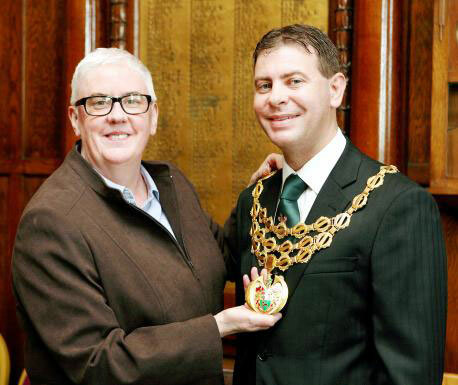 Inaugurated as Mayor of Horwich on Thursday 15 May 2014. His Civic Sunday was held at Horwich Parish Church (Holy Trinity) on Sunday 1 June 2014. 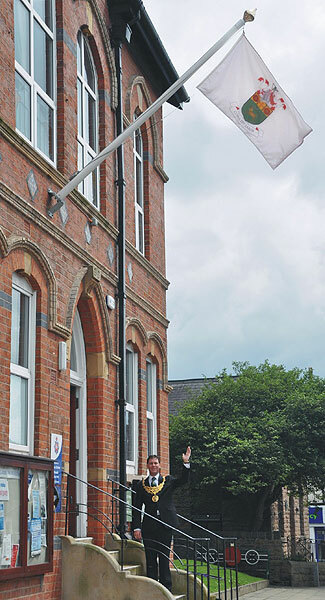 Unveiled the new Horwich Town Council flag outside Horwich Public Hall on Wednesday 4 June 2014. 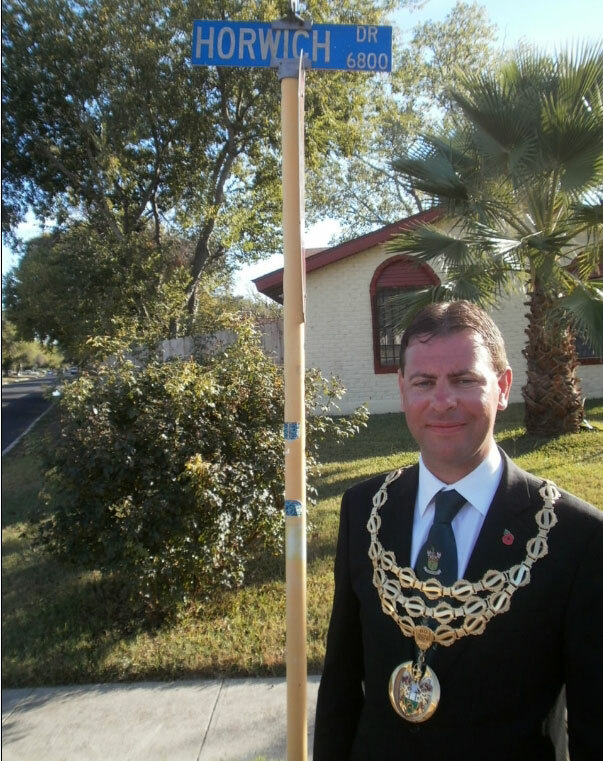 Was the first Mayor of Horwich to visit "Horwich", San Antonio, Texas on Saturday 1 November 2014. 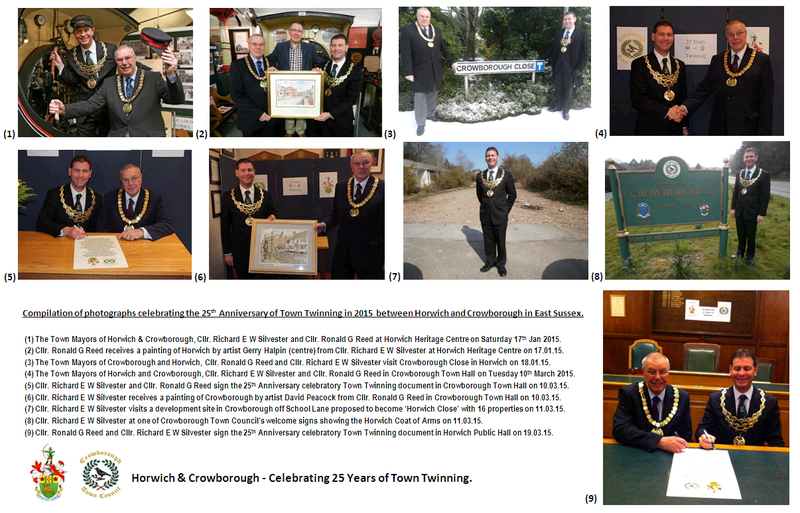 Signed a 25th Anniversary celebratory Town Twinning document with the Mayor of Crowborough, East Sussex, Cllr Ronald G Reed in Crowborough Town Hall on Tuesday 10 March 2015 and in Horwich Public Hall on Thursday 19 March 2015. His Mayoress was Miss Alison Brookes. 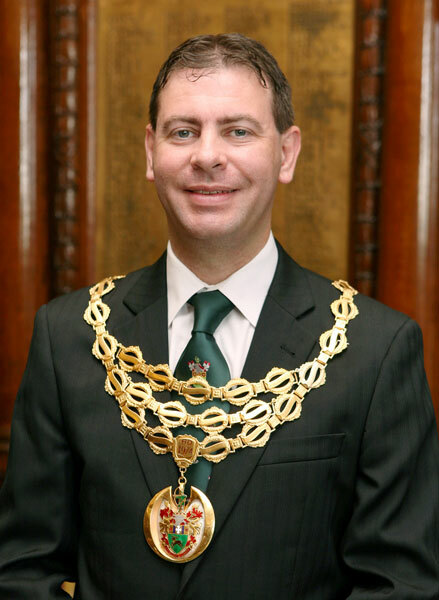 The Deputy Mayor for 2014-15 was his mother, Cllr Julia Silvester. 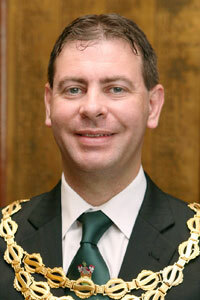 Formal portrait of Richard E W Silvester as Mayor of Horwich. Christine Root, Mayor of Horwich 2013-14 handing over the Chain of Office in the Council Chamber, Public Hall, Lee Lane to Richard E W Silvester on 15 May 2014. 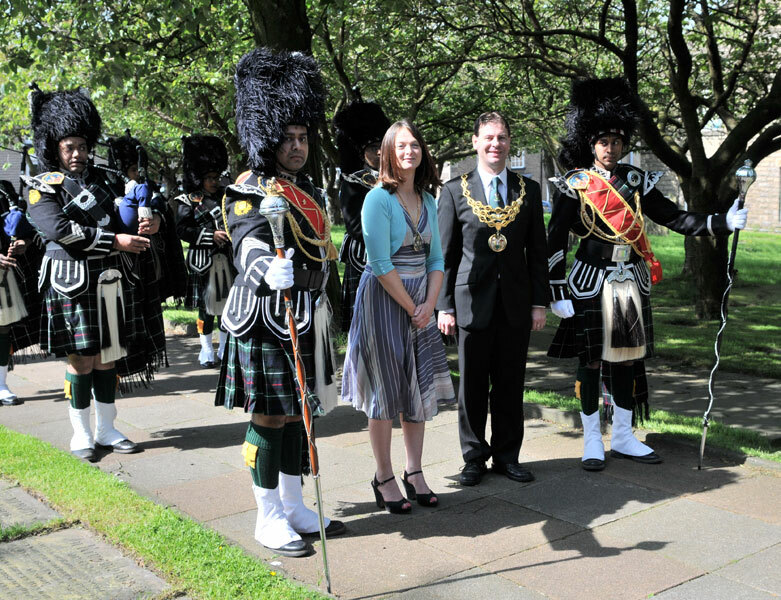 Richard E W Silvester and Miss Alison Brookes as Mayor and Mayoress of Horwich at Horwich Civic Sunday on 1 June 2014, with the Shree Swaminarayan Gadi Pipe Band. Richard E W Silvester as Mayor of Horwich unveiling the new Horwich Town Council flag outside Horwich Public Hall, Lee Lane on 4 June 2014. 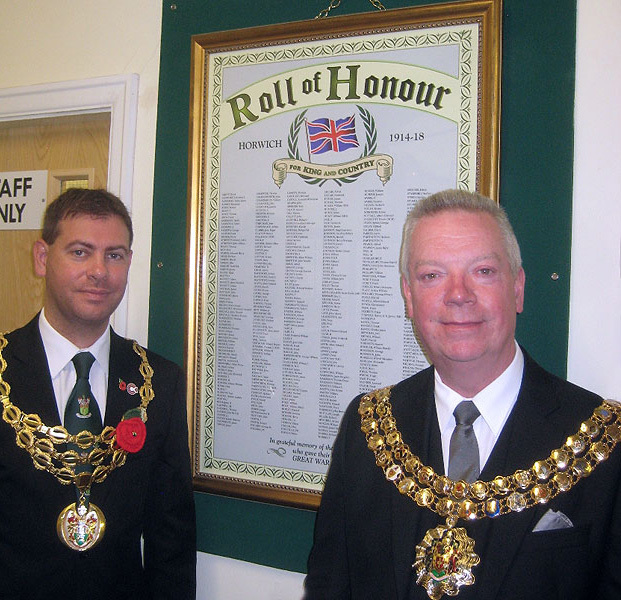 Richard E W Silvester as Mayor of Horwich unveiling a commemoration plaque at Horwich Heritage Centre on Saturday 16 August 2014 with Martin Donaghy, Mayor of Bolton to all those from Horwich who died in the First World War on the 100th anniversary of the outbreak of hostilities. Richard E W Silvester as Mayor of Horwich visiting "Horwich", San Antonio, Texas on Saturday 1 November 2014. 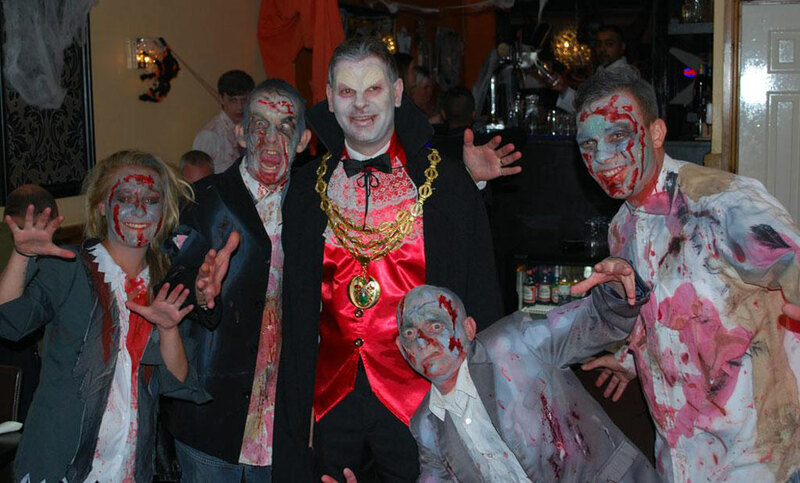 Richard E W Silvester as Mayor of Horwich dressed as Count Dracula hosting a fundraising reception at Bengal Cottage restaurant, Lee Lane, Horwich in order to celebrate ‘World Zombie Day’ on Saturday 11 October 2014 and to raise funds for Bolton Mountain Rescue Team. £300 was raised and later donated. Richard E W Silvester as Mayor of Horwich with Ronald G Reed, Mayor of Crowborough during the 25th Anniversary of Town Twinning between Horwich and Crowborough, East Sussex.